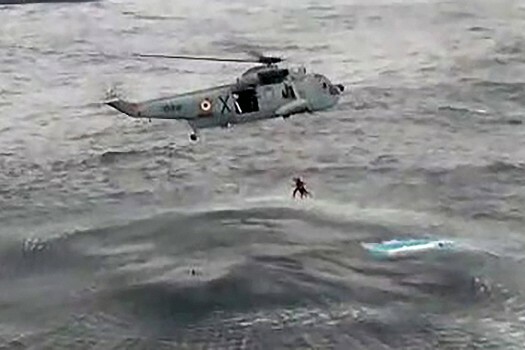 A Navy helicopter rescues fishermen in the wake of cyclone Ockhi, in Lakshadweep. 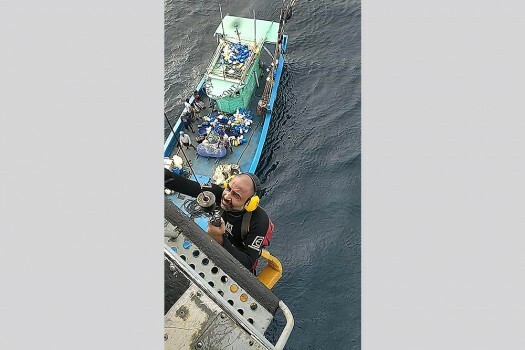 Navy personnel carry out rescue operations in Lakshadweep following the cyclone Ockhi. 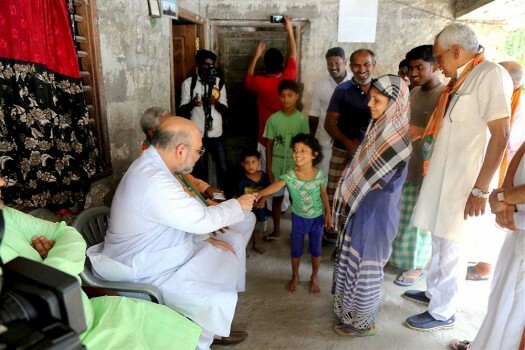 BJP National President Amit Shah interacts with a family during his Door to Door campaign in Kavaratti, Lakshadweep. 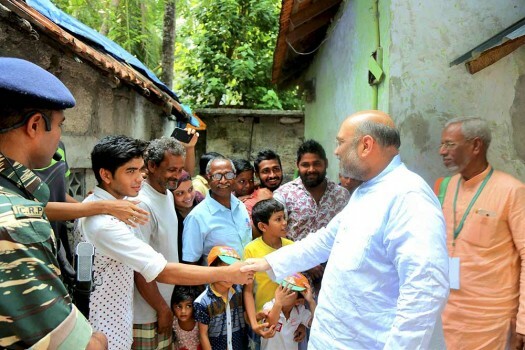 BJP National President Amit Shah during his Door to Door campaign in Kavaratti, Lakshadweep. 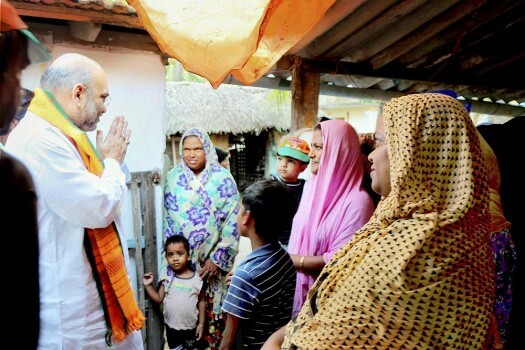 BJP national president Amit Shah greeting the voters during a door-to-door campaign in Kavaratti, Lakshadweep. 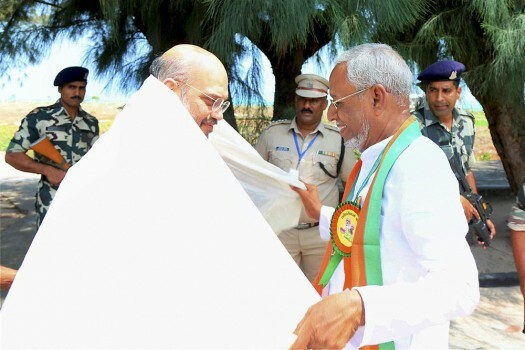 BJP National President Amit Shah being accorded traditional welcome on his arrival in Kavaratti, Lakshadweep. 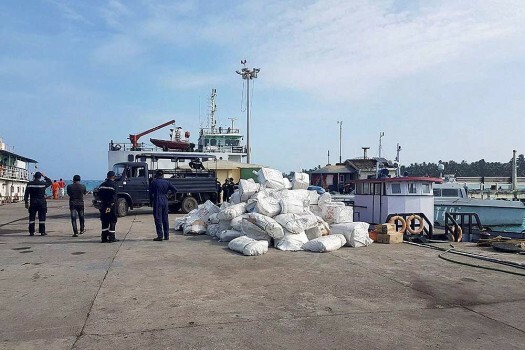 In addition, eight aircraft, including long-range maritime reconnaissance aircraft P8I, were deployed throughout the day. 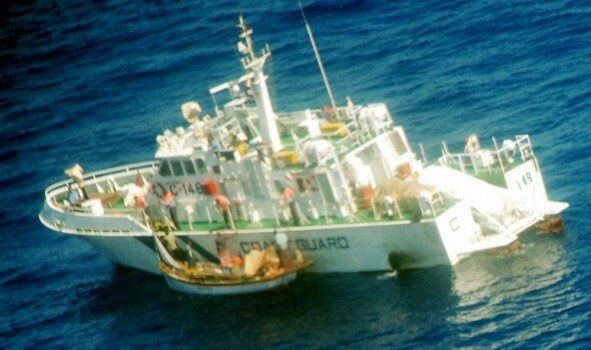 Lakshadweep-born Delhiite N.K.P. Muthukoya is one of India’s pioneering surreal painters. 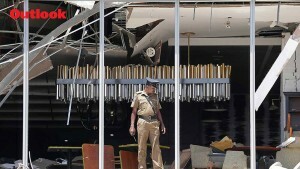 At age 76, the artist, who spent formative years in Kerala and Tamil Nadu, looks back to narrate a string of experiences—romantic, real and sometimes dark.